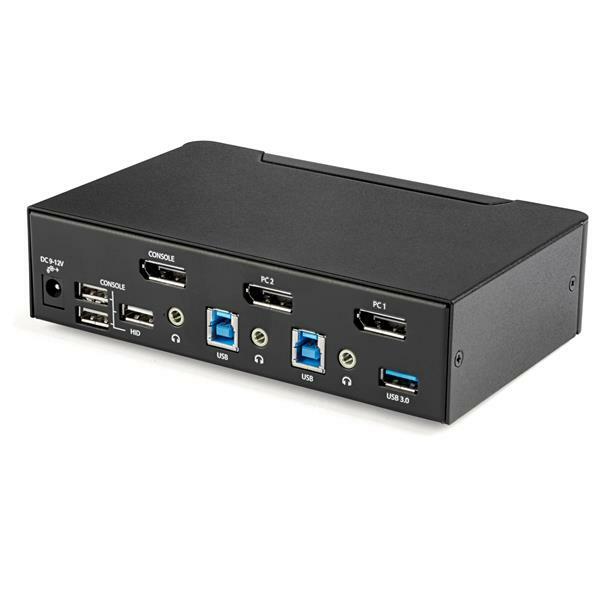 This 2-port KVM switch combines 4K (60Hz) digital display capabilities with control of two connected computers. The DisplayPort KVM switch supports resolutions up to 4K at 60Hz. It drives one large monitor at the full 4K resolution or, using an MST adapter, can drive various DisplayPort multi-display setups totaling 4K if you need to maximize viewing space. 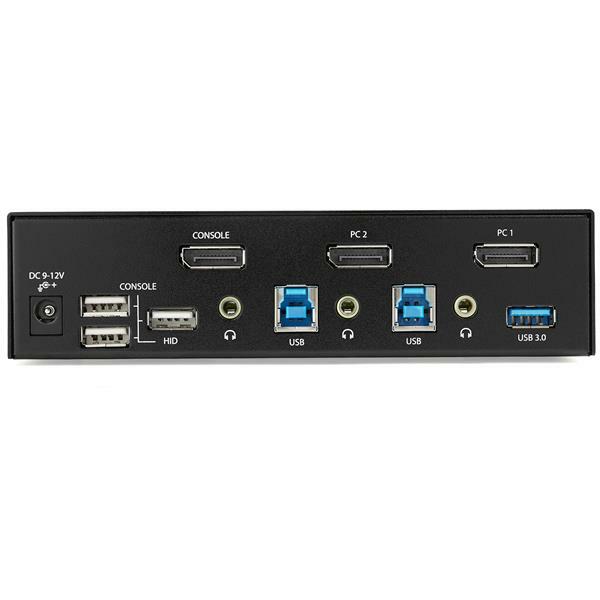 With support for digital audio (with supporting displays and sources) and separate 3.5 mm stereo audio, the DisplayPort 1.2 KVM switch delivers full audio compatibility. The integrated USB 3.0 hub shares two peripherals (in addition to keyboard and mouse) among attached computers as if they were directly connected to your host computer, eliminating the cost of duplicate devices such as printers and scanners. 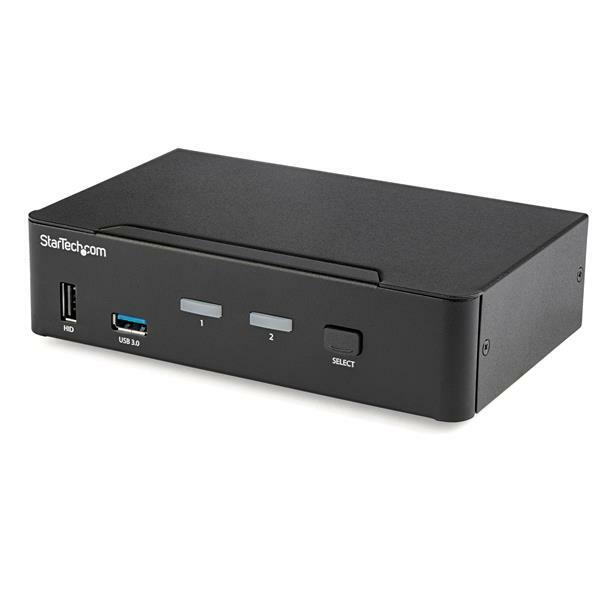 While supporting Windows, this DP KVM switch is also compatible with Mac and Linux operating systems. The front-panel pushbuttons make it easy to switch between systems and activate the auto scan feature. The hotkey functionality makes accessing each system quickly, while a buzzer sound confirms the switch. 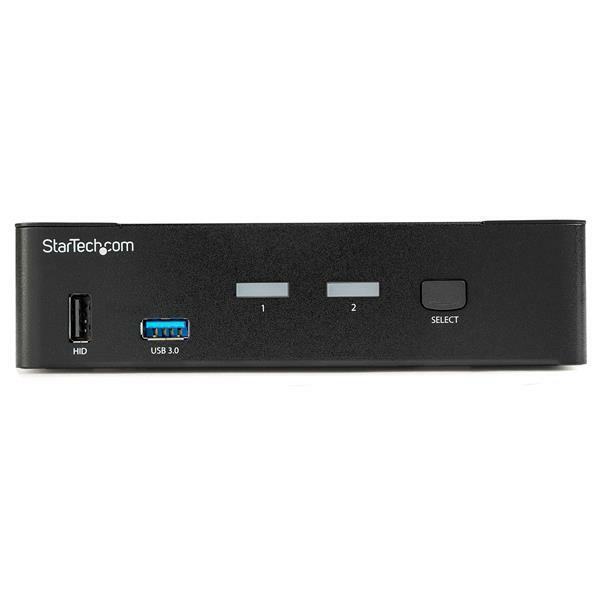 StarTech.com offers a wide selection of high-quality KVM switches and KVM-related products to help you access your systems more efficiently without the expense and clutter of extra keyboards, mice, and monitors. This 2-port DisplayPort KVM switch is backed by a 2-year warranty and free lifetime technical support.